A good looking and stylish chair that can be used around the kitchen or dining table and even in an office. 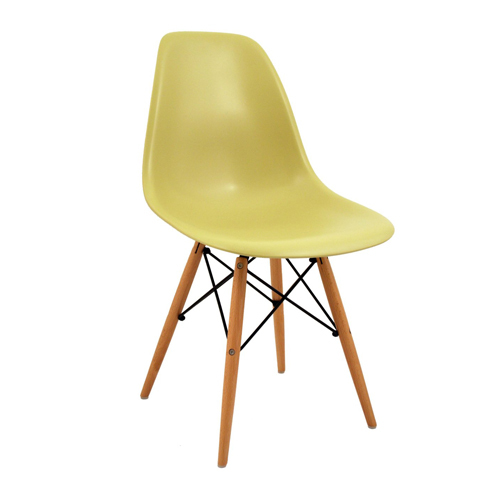 Featuring a modern looking European style design this beautiful and affordable olive green dining chair is a high quality reproduction of the famous Eames Eiffel DSW Lounge Chair. 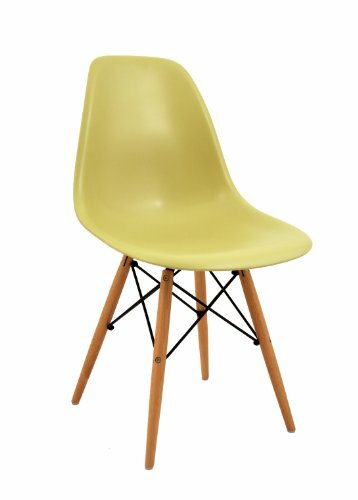 This plastic and wooden olive green dining chair perfectly combines up to date and colourful design with the traditional wooden touches of the past making it suitable for any room or kitchen style. The chair has a distinctive looking ‘Eiffel’ base made from ash wood that are supported by diagonal metal struts. The bases of each of the wooden legs feature protective guards to protect the legs of the chairs as well as floor the chair is placed on from scratches. 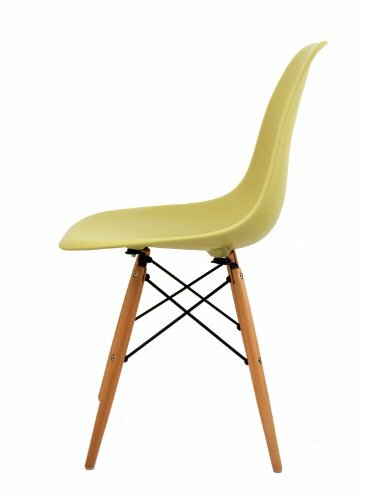 The seat of the Retro Eames style chair is made from ABS plastic that is both rigid and durable and able to stand up well to everyday usage and wear and tear. The design and look of the Eiffel style chair is great for any room of the home and will brighten up any environment adding both style and fun. The colourful dining chair is lightweight weighing only 3.7 kg and measures H 82 x W 46.5 x D 53cm with a seat height of 44.5 cm. While some assembly is required it is very easy allowing anyone without any DIY knowledge to attach the base to the seat. The dining chair is available in a range of colour options that can be viewed on visiting the retailer. Dimensions: H82 x W46.5 x D53cm. Seat Height 44.5cm. Materials: ABS seat, ash wood base, metal struts. Assembly required: Seat detaches from base therefore some self-assembly is required.